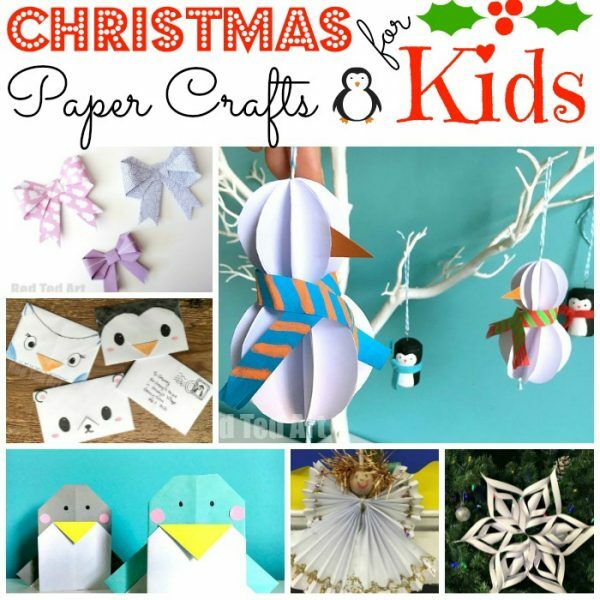 Looking for a nice and easy Paper Christmas Craft for Kids?! Look no further. 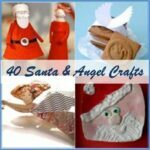 Our guest writer Creating Creatives is BACK! 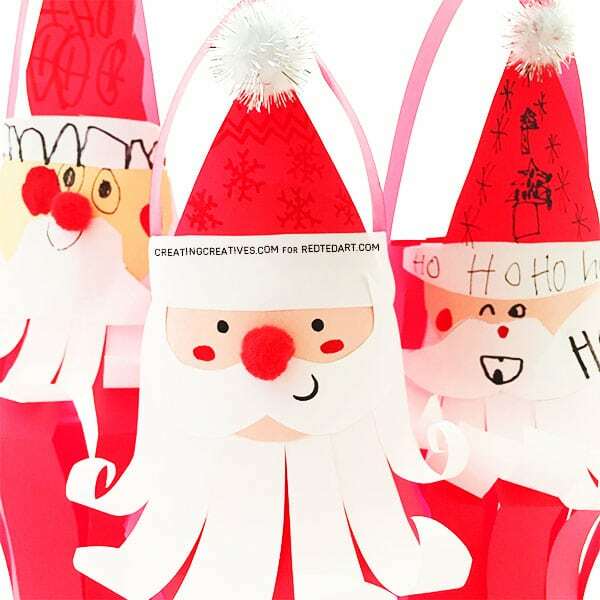 Love this take on the “classic” paper lantern, which is so fun to make and how she turns it into this fabulous Paper Santa Lantern.. add a tea light or string them up as a paper Santa Lantern.. either way, they are just the cutest! And the best bit? 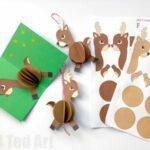 They come complete with free template for extra easy making. 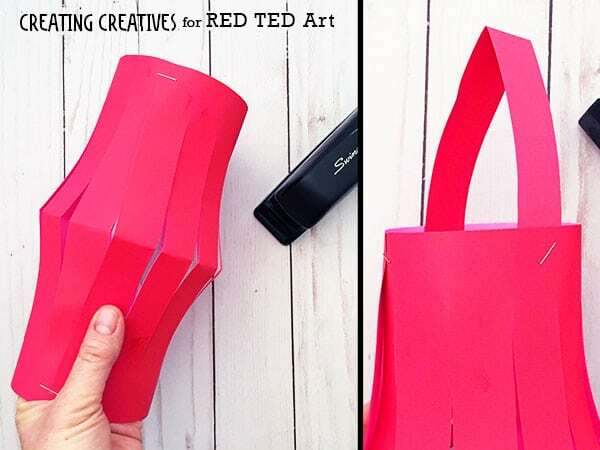 Over to Creating Creatives! 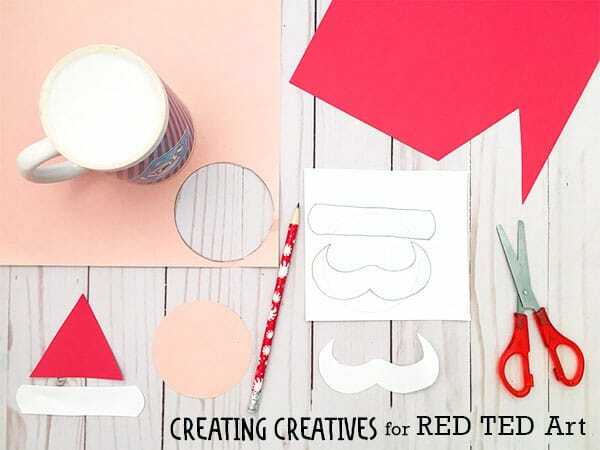 See all of Creating Creatives guest posts on Red Ted Art here! 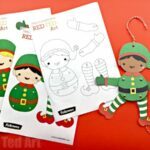 Happy Christmas Tedsters! We’re back and we’ve brought a friend, Jolly Ol’ St. Nicolas! 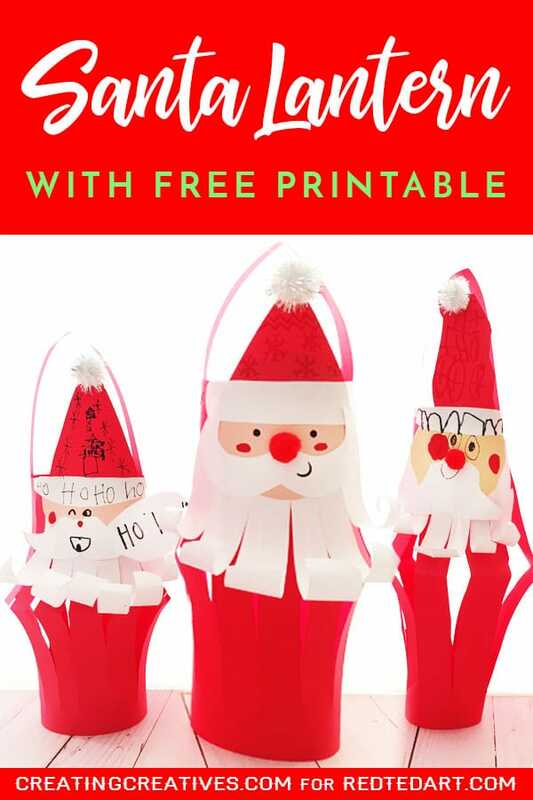 My kids and I had such a lovely time making these sweet Santa Paper Lanterns and we hope you will too! As always if you decide to give it a go we’d love to see how they turn out so feel free to tag me on Instagram @creatingcreatives. 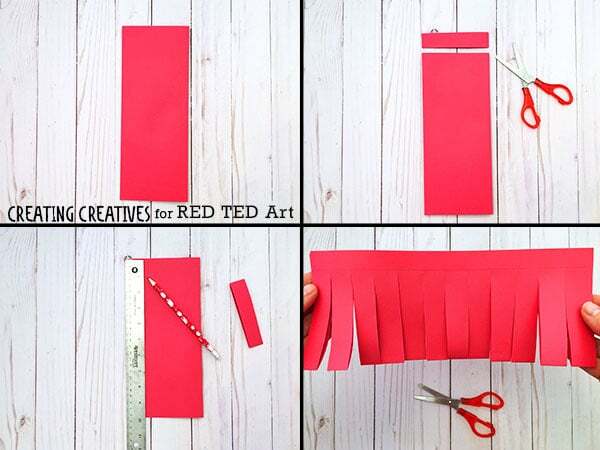 Fold your red paper lengthwise and fully cut a section off from the top, this will be the handle. 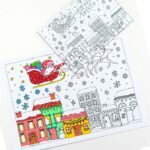 Draw a line about ½” (1-2cms) from the edge of the long side of the folded paper, opposite the folded side. This will be the line where you stop cutting. Cut slits all along the folded side. 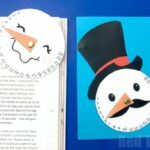 Now it’s time to cut out the Santa Face pieces: circle face, mustache, hat brim and hat triangle. 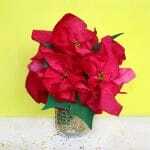 You can do this from our printable, or free hand. If you’d like to do it free hand here’s what we did. 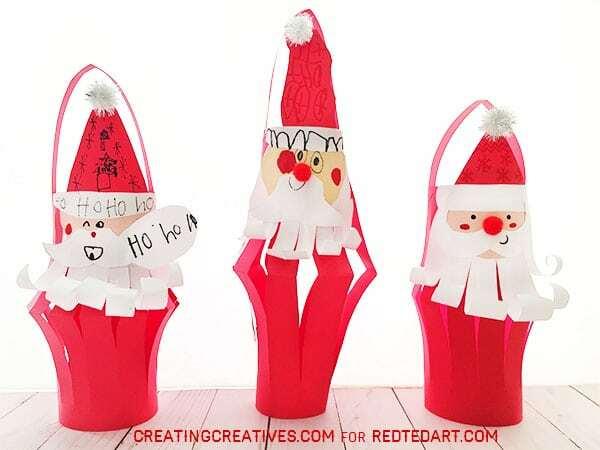 Santa Face – Trace around a coffee cup on your skin colored paper and cut it out. 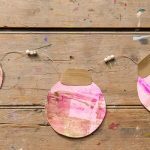 On your white paper trace around your coffee cup with a light stroke, then draw in your mustache and hat brim and cut them out. You can see how we drew ours in the picture below. Cut out a red triangle hat to fit your hat brim. Glue all your pieces together. 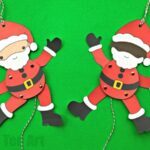 Once they’re glued you can glue on your pom pom nose and hat bobble, then add in face details with your black and red markers. My kids also added some hat decoration, which I think adds so much personality! It’s time to make the beard. 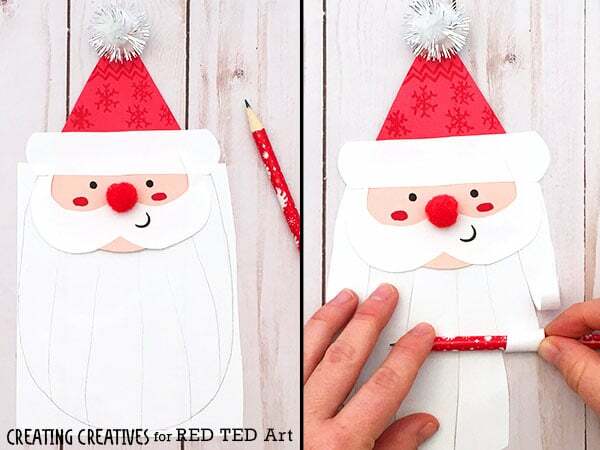 Lay your Santa face on some white paper and draw a long beard shape. 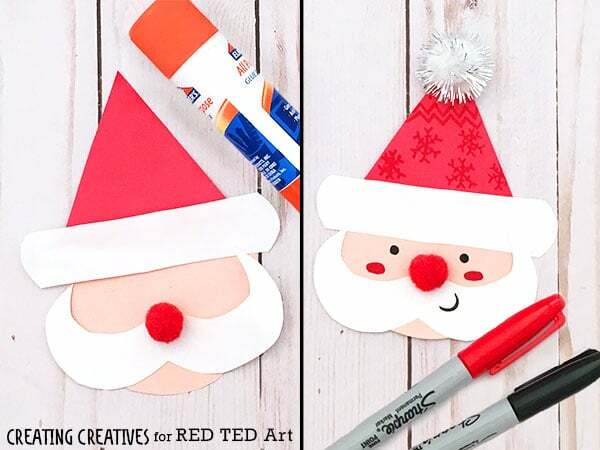 Make sure the shape goes all the way up to Santa’s hat, then cut it out. 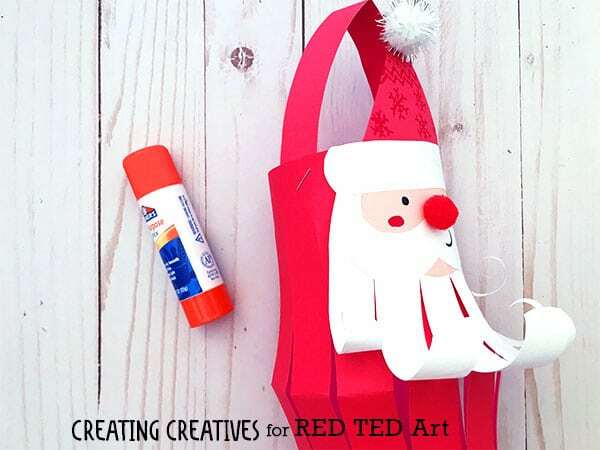 Then, draw some lines from the bottom of the beard all the way up to just past Santa’s face then cut along the lines. 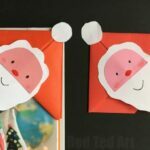 Take a pencil and curl the paper around the pencil to make his curly beard, then glue the beard to the back of his head. 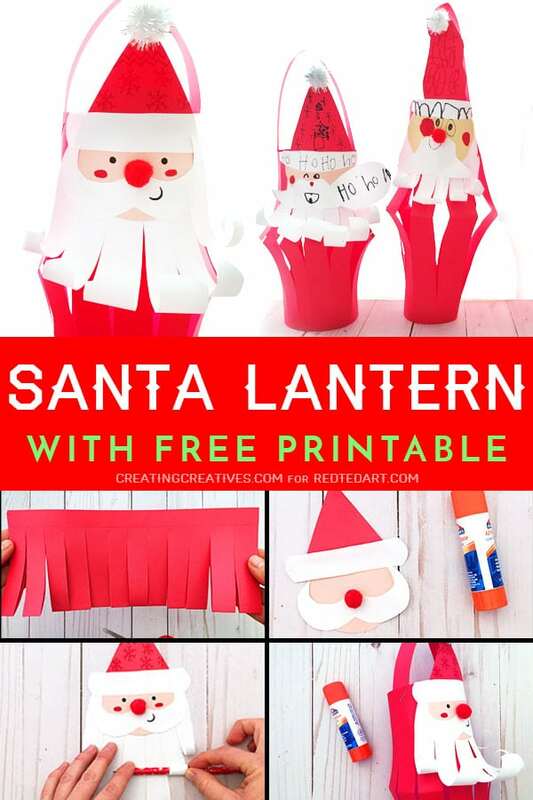 Once your pom poms have dried glue your Santa head onto your lantern, lining up the top of Santa’s brim with the top of the lantern. You’re done! 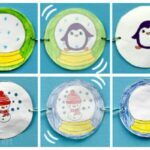 Hang and enjoy!